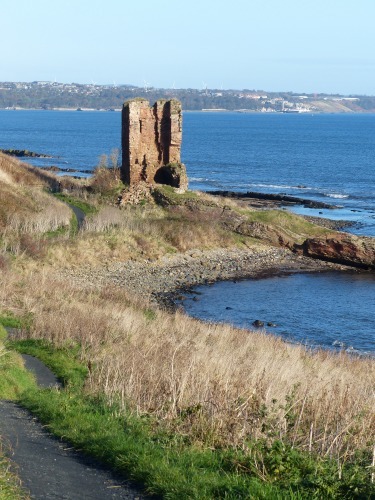 The Fife Coast and Countryside Trust has published a handy map of all 117 miles of the Fife Coastal Path, and it’s been an inspiration for walks this year. Divided into 8 sections of between 11 and 17 miles, it can be folded to suit your walk and comes in its own plastic wallet (for those occasional showers!). 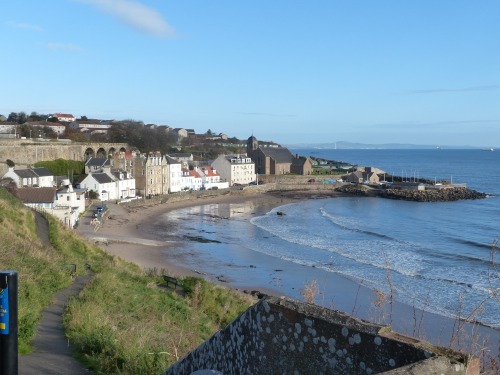 We’re used to focusing mainly on sections 5 and 6 of the Fife Coastal Path (the Elie to Cambo Sands and Cambo – Leuchars sections), so we thought it would be a good idea to highlight the delights of some of the sections in other parts of Fife for our visitors. 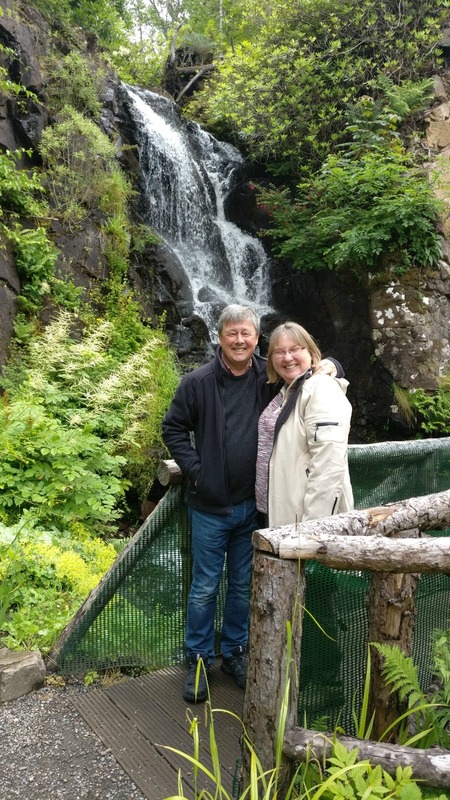 In the eastern sections of the Fife Coastal Path, from Inverkeithing to Kirkcaldy, the route follows the railway, making it possible to walk sections between stations, then get the train back to the starting point. 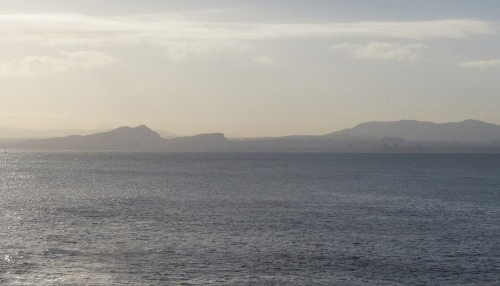 In early November, I set off for a walk from Kinghorn to Kirkcaldy, picking up at the point where a previous expedition had stopped, at Kinghorn Station. 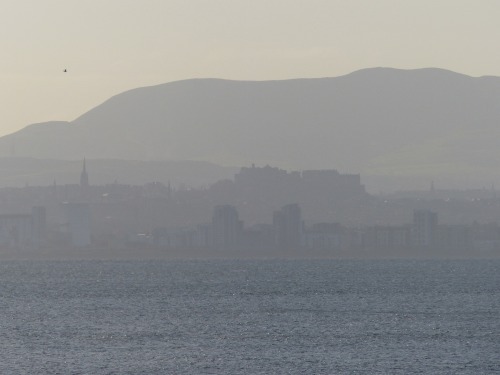 Although the walk is only around 4 miles, I stopped often to take photographs, and decided to visit the Kirkcaldy Museum and Art Gallery rather than retracing my steps, meaning I’d a short train journey back to the station at Kinghorn to return to my car. The path is well marked, and easy walking until you reach Seafield Car Park on the edge of Kirkcaldy, where you must follow signs taking you up from the beach and along the road for a short section to avoid the estuary of the Tiel Burn. Here is a selection of photographs from the walk, giving you some ideas of what you’ll see along the way. Kinghorn, the starting point of my walk. 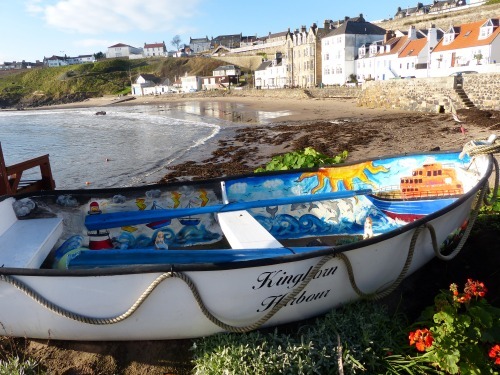 A brightly decorated rowing boat at Kinghorn Harbour, including mermaids. From the path, views towards Edinburgh Castle and the Pentland Hills. 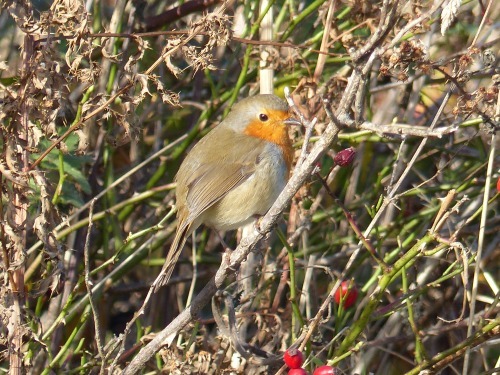 A robin enjoying the autumn sunshine. 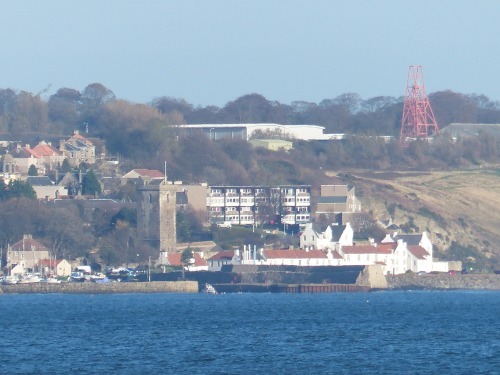 Seafield Tower with views towards Dysart in the distance. 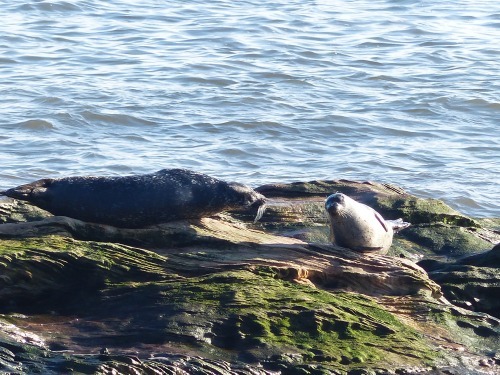 Seals sunning themselves on the rocks at Seafield. 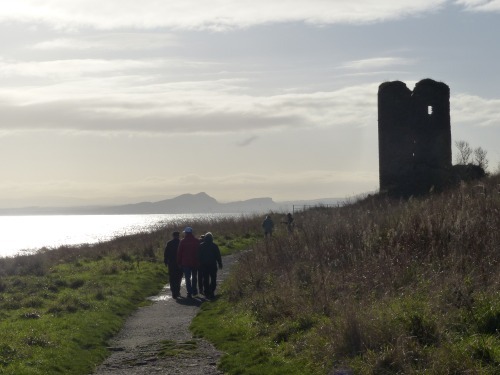 A group of walkers heading towards Seafield Tower with Arthur’s Seat in the distance. Views towards Dysart, with Frances Colliery winding tower. I liked the ‘pecking order’ evident with the Oyster Catchers at the top. Kirkcaldy Museum and Art Gallery – worth a visit at the end of your walk. 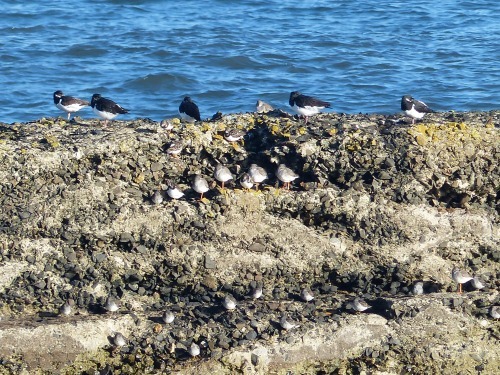 Fife Coast and Countryside Trust – Website, Facebook, Twitter. 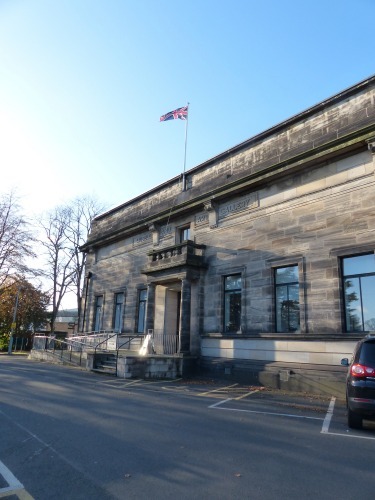 Kirkcaldy Museums and Galleries – Website, Facebook, Twitter. If you have any tips for us about walking the Fife Coastal Path, please let us know – you’ll find Sandcastle Cottage on Facebook and Twitter, and a gallery showing larger versions of these images can be found on our Flickr page. 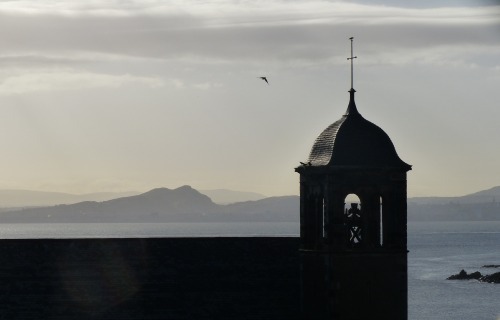 It’s also possible to base yourself at Craigwell Cottage, Edinburgh and access this section of the Fife Coastal Path via a short train journey from Waverley Station.